Click MY ETSY SHOP to purchase Joy machine embroidery design. 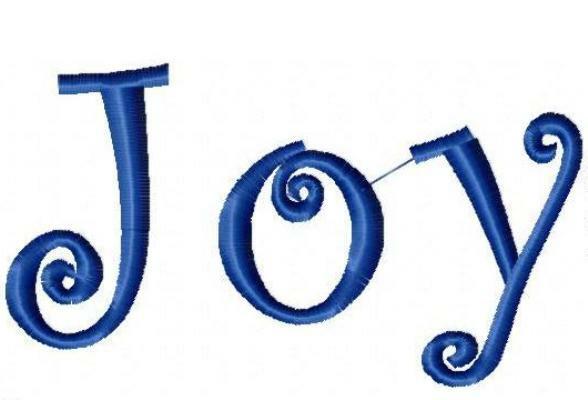 You can also find Joy at my eBluejay store, Needles and Thread. The line between O and Y is a jump stitch, easily trimmed as you sew. Created using my licensed font.